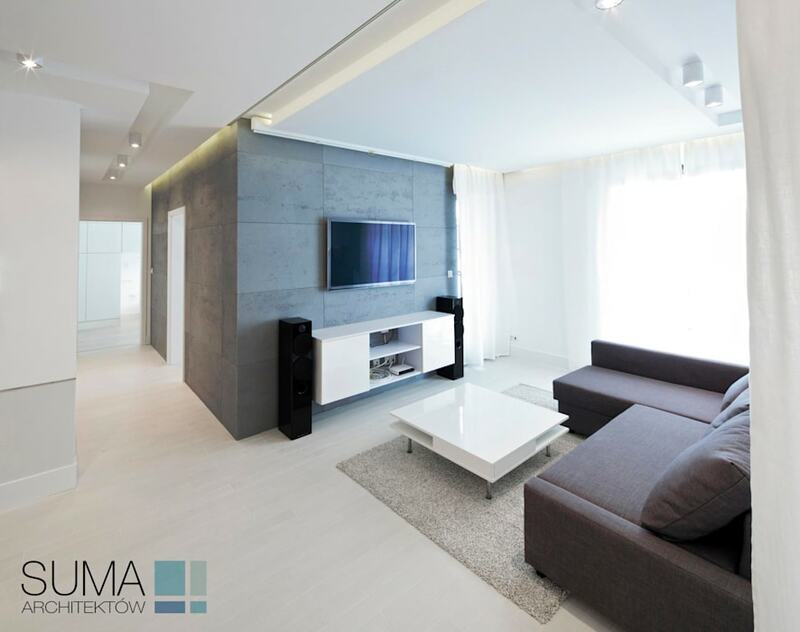 WHITE ONE is minimalistic apartment in Krakow. This bright interior contents diferent shades of white connected with concrete accent wall. Credits: SUMA Architektów Sp. z o.o.